Today I’m excited to interview agent Mary Kole about her newly released book, WRITING IRRISISTABLE KIDLIT: THE ULTIMATE GUIDE TO CRAFTING FICTION FOR YOUNG ADULT AND MIDDLE GRADE READERS. This is a great book on writing middle grade and YA stories, covering everything from plot, character development, and theme. Using all new material, Mary shares her advice on the craft of writing and utilizes passages from published books to exemplify her points. 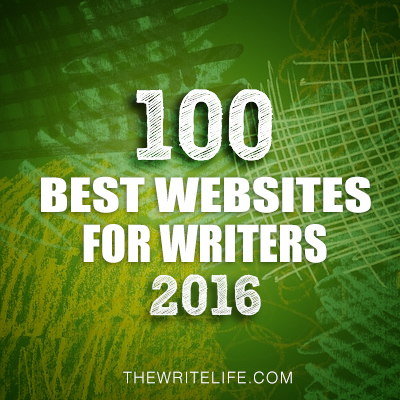 And publishers and published authors also share tidbits of advice on many of the topics she discusses. Hi Mary. Thanks so much for joining us. I became a literary agent in 2009 after reading at several agencies, writing for years, and while earning my MFA. 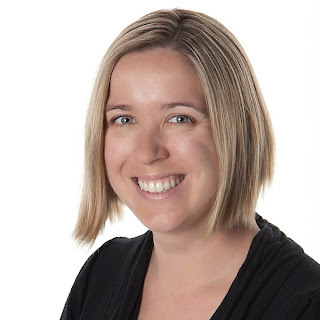 The same year, I started my blog, Kidlit.com, all about children's books so that I could demystify the publishing business and talk craft with aspiring children's writers. 2. I didn't realize you started your blog the same year. What made you decide to write your book and how is it different from some of the other craft of writing books out there? I wanted to challenge myself to say something about the writing craft and children's book market in a way that was more permanent and "big picture" than the blog. I took the Donald Maass' WRITING THE BREAKOUT NOVEL approach and excerpted from thirty-four published children's novels to help illustrate my teaching points. I also include commentary from bestselling authors and children's book editors to round the guide out, so it's not just me on my little soapbox. 3. Those were all great ideas that add to your book. How long did it take you write? When did you find time with your demanding job as an agent? It took me about six months to write, but I'd submitted a hefty proposal that had some of the groundwork already covered. When you really want something, you make the time. A lot of writers have day jobs, even after they're published, so I did what everybody else does and carved out a moment whenever I could, sometimes early in the morning, sometimes at the airport on the way to a conference. 4. You say at the beginning of the book that you’ll be focusing on theme throughout all the chapters. Why do you believe the theme is so critical in creating a good story? Every good book needs a big idea that drives it and a larger question that the writer is struggling with about being alive. It's the secret sauce that lifts a story up and makes it universal, resonant, and larger-than-life, but a lot of people don't take the time to articulate and really explore what theme they're playing with. 5. I love how you describe it as the secret sauce. What’s some of the most important things that you hope authors will learn from your book? That it takes a lot of thought and exploration to craft a book that's going to not only be published but published well. The market is very demanding and, contrary to some popular belief out there, advanced fiction craft is really important in children's books. 6. So true that the craft of writing is critical to a good story. 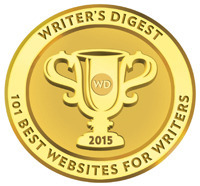 Your book is being published by Writers Digest. Share about your road to publication. 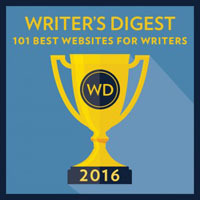 Was your road to publication easier because you’re a well known agent and have a relationship with Writers Digest already? Of course, but I still had to submit and proposal and go to acquisitions like everybody else. My platform (the blog) and the Writer's Digest audience's response to my webinars and conference appearances were both key to getting me through the door, but they never would've bought it if they didn't like the idea or didn't think I could sell it. 7. What was it like being on the author side of the table instead of being the editor like you do with your clients before submitting their work? 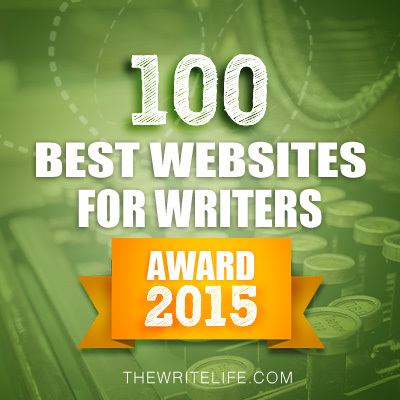 I came to the business because I love writing--otherwise the blog would be torture. So it was liberating and a dream come true, actually. And I got to send early drafts to trusted readers and go through the peer critique process like a lot of authors do, too. Not to mention work on the book with my editor. It was fun! 8. Awesome that you enjoy writing as well as being an agent. How are you planning to market your book? What advice do you have for aspiring middle grade and YA authors about marketing? I'm lucky in that I have a platform in place already, but marketing any book, no matter who you are, is an exercise in starting from square one in a lot of ways. Of course I want my blog readers to buy and love the book, but there are tons of marketing avenues that may not be part of my network already. I've been researching other people who write about children's books and reaching out to them. It's a lot of work. For fiction, it's even more work because your target audience isn't nearly as specific. I don't envy my fiction writer clients when it comes time to market their debuts! 9. I think it's true that even if we have a platform with our blog, we have to expand out when thinking of marketing our book. I want to spend a little time discussing your role as agent. You’re an agent at Movable Type Management. Tell us what you’re looking for in submissions and what you aren’t interested in. I'm very open-minded when it comes to genre, though I am not actively looking for paranormal or dystopian. Overall, I'm seeking MG and YA that has literary spark and commercial appeal--so a high-concept premise but a premium quality of writing. 10. What are some common mistakes you find in queries and how do you recommend avoiding them? More on this in the book, but I'd avoid writing the query as your main character or other such gimmicks. Also, if you personalize the query, make sure it's truly personal and specific, not just "I am querying you because you love books." An agent, of all people, can tell when something is a form letter. Thanks Mary for all your advice. Good luck with your book. You can find Mary at her blog and her editorial and consulting website. 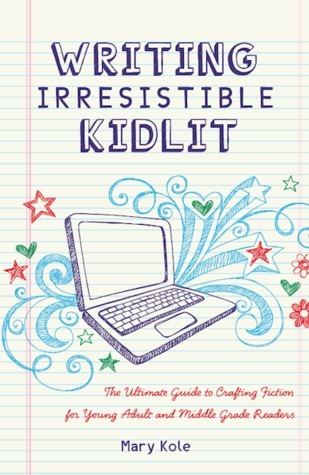 Mary has generously offered a copy of WRITING IRRISISTABLE KIDLIT: THE ULTIMATE GUIDE TO CRAFTING FICTION FOR YOUNG ADULT AND MIDDLE GRADE READERS for a giveaway. To enter, all you need to do is be a follower (just click the follow button if you’re not a follower) and leave a comment by midnight on December 8th. I’ll announce the winner on December 10th. If your e-mail is not on Blogger, please list it in your comment. If you mention this contest on Twitter, Facebook, or your blog, mention this in the comments and I'll give you an extra entry.This contest is open to US residents only. Please mention if you're not a US resident in your comments if you don't think I know that. And don't forget to enter my giveaway contests for THE SPINDLERS, CONJURE, ROOTLESS, and RENEGADE. The links are at the top of the blog. Next Monday I'm interviewing Victoria Strauss and giving away a copy of her new YA book, PASSION BLUE. I decided to interview her when I saw her author blurbs from Robin McKinley, Jane Yolan, and Megan Whaeln Turner. Victoria is also the co-founder of Writer Beware, a publishing industry watchdog group that watches and reports on literary fraud and scams. We'll discuss Writer Beware as well. The following Monday, I'm interviewing Corrine Jackson and giving away a copy of her new book, TOUCHED. And she just had her debut book, BEFORE I LIE, release in September. So it should be an interesting interview. I like that Mary's book has excerpts to illustrate the teaching points. I've followed her career for awhile now, and she always has good advice to share. Please enter me in the giveaway, Natalie. Thank you! Interesting interview. When I first began blogging (around the same time Mary began blogging as well), I discovered her blog. It was such a great resource. I'm sure her book is helpful as well. Love her blog! It's one of the few sources for discussion about intermediate-advanced writing issues. Please enter me! I didn't realize she'd written a book. Very cool! Wow, sounds like an excellent resource. I will check out her blog. Thanks! I follow Mary's blog and this one and enjoyed this interview very much. I am just moving from PB to YA and would just love to win a copy of Mary's book! I've followed Mary's blog for a long time and always look forward to her posts! Great interview and thanks for the giveaway! That book sounds amazing! I may have to buy it instead of waiting on the giveaway! I need the secret sauce! this sounds like a great book that I must have. please enter me in the giveaway - or it goes on my christmas list (if I can wait that long!) thanks for the great interview. Thanks for the interview, I'm excited to read the book! Ooh, this sounds like a great resource! I primarily read kidlit (I was a kid not that long ago), and that's what I want to write. If I don't win this giveaway, it's going on my Christmas list! This is a great interview. I love her advice and her kidlit blog is great. Thanks for the giveaway too. Thanks! I can't wait to get copy of the book. I write MG and I'd love to win her book. Great Interview. Every year I love to get a book about the craft of writing for Christmas. This is the book I want this year. I love Mary Kole's blog, and I know I would love, love, love this book! I mentioned it on my facebook account so I could get another chance at winning. Thank you, Natalie and Mary, for the great interview. I always wondered what it was like for agents who were also authors. On a side note, my 15 year old daughter has aspirations to be both a literary agent and an author. I've been trying to get her to follow some agent blogs to learn a little more about the profession. I'll have to point out Mary's blog to her. Sounds like a great book. Good luck with it, Mary. And good luck with your editorial services. I hadn't heard about this one. It sounds wonderful. Wish her loads of luck with it. I'd be interested to check this book out and see if she makes good distinctions between MG, Upper MG and YA. I think the lines get blurred sometimes and it would be interesting to see her take on it. This would be so helpful to be in my current project! Sounds good. I love WD books. I'll definitely be looking into this one. Especially since the blog is so informative. Thanks Natalie for this amazing interview with Mary. Mary is my dream agent. I have been following her blog for more than a year and I can't thank her enough for the wonderful advice and tips she shares with her readers. Wishing Mary lots of success with her book. Great interview ladies! I enjoyed hearing more about Mary's behind-the-scenes process with this book. It's coming at a perfect time as I am about to embark on a chapter book series. It's my first foray into longer-form fiction. This book sounds so perfect! Thanks for the giveaway Mary! The book sounds wonderful, and I can't wait to read it. 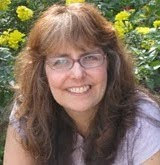 Mary Kole has offered us so much good information on her blog, Kid Lit, and also in her webinars. I met her at the Writer's Digest Conference in New York, and even with all of those writers at the "Pitch Slam," she took the time to be personable, gracious and impart knowledge as well. I hope that her book is a success, and I know it will be a best seller! I had decided I didn't need to buy any more "Craft of writing" kinds of books. BUT... as a regular reader of Mary's blog I know how great her advice is. (I especially learned from the post on interiority, Mary). I'm getting this one! BTW...tweeted it and shared on my FB page. awesome post and looks like a fabulous Book. Thanks Casey and Mary !!! Since I write MG, this book sounds like something for me! Thanks, Mary and Natalie, for the great interview. I already have a copy (it's great!) but if I win, I'm going to give it to my critique partner (Andrea, poster #1) who lives in Canada and isn't eligible to enter. I'll be seeing her in Feb.
Great interview! 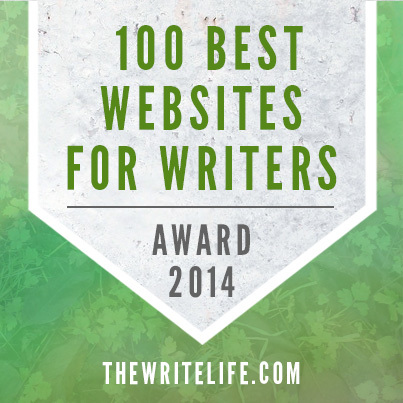 Mary's blog Kidlit is a must for children's writers. Sounds like a must-have. Thanks for the interview. Looks like an awesome book. I'll end up buying it if I don't win but might as well try right? I'm a huge fan of Ms. Kole's blog so this would be great to win! Sounds like a title with staying power. I like all the teasers included in the interview. Great job and much success Mary. Mary is a wonderful inspiration - her blog is AMAZING, and I would love a copy of the book. What a great give-away! I've followed Mary's blog for a few years and it's always been great. I'm sure her book is no different. I'd love to get it! Thanks for the interview and the opportunity. I'm not a US resident, so don't enter me in the contest. How disappointing! This book sounds terrific! I'm a follower, and I would love to win this! Thank you! I'd love to win this book, too! Mary never fails to give straightforward, helpful advice. I'm eager to read her book and learn more! Oh, gosh, this looks awesome. I <3 Mary Kole. Fabulous! I've been writing for young readers for a while now, and I love MK's blog, so I'm looking forward to the book. Please enter me in the contest! I'm excited to read this book. I've taken one of Mary Kole's webinars and her advice and insights are fantastic. Thanks for the interview, Natalie! I love Mary's work. She's so insightful and generous in her understanding of the writing process, a great author advocate for sure! I'd love a copy of this book, so please enter me twice! I'll be sure to post to twitter and facebook and make mention of it on my blog! This looks like a great resource. Thanks. What a great giveaway! I've heard Mary speak--she has great advice. Love Mary Kole's advice. I read her blog all the time. Want this book. This would be a great win for me...I am in the middle of writing a YA novel and could use all the tips I can get! Great interview! I've been curious about that book, I've got it on my to-read list. n.magruder[at]gmail[dot]com. Love Mary's blog and been following about this new book for the last few months. Tweeted and posted on Facebook above the book and contest. Just getting serious about the children's writing market so this book would sure be helpful. Thank you, Mary!